Nothing says a perfect summer day like relaxing on the beach or by the pool, under the shade of an umbrella, with a great book. But, before you throw on the flip-flops and pack your beach bag, make sure you have the perfect beach chair to lounge in on your relaxing day away. A great beach chair should be one that is easy to carry, well made, and above all, comfortable. For the best selection of beach chairs, shop online at retailers like Amazon. Stores may have one or two chairs to choose from, but when you shop online, you will have hundreds of models from which you can select. 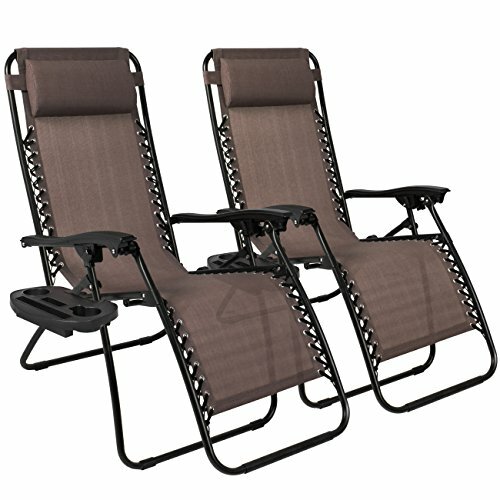 Some of the most highly rated beach and lounge chairs on the Web are the Zero Gravity Chairs by Best Choice Products. Not only do these chairs boast rave reviews by users, experts agree that they are great for back support and lumbar alignment. Take a look below to check out all that they have to offer. An attachable tray and cup holder can be ordered. The tray is large enough to hold drinks, magazines, cell phones, etc. They feature comfortable, padded headrests. These headrests are removable and can double as a backrest or a footrest depending on your desired position. The unfolded dimensions of the chairs are: Length: 32.5"-61" x Width: 25" x Height: 33.5"-44"
The folded dimensions of the chairs are: Length: 38” x Width 25" x Height 6"
A great, relaxing chair is essential for settling in to a relaxing summer vacation, or even a quick weekend catnap. 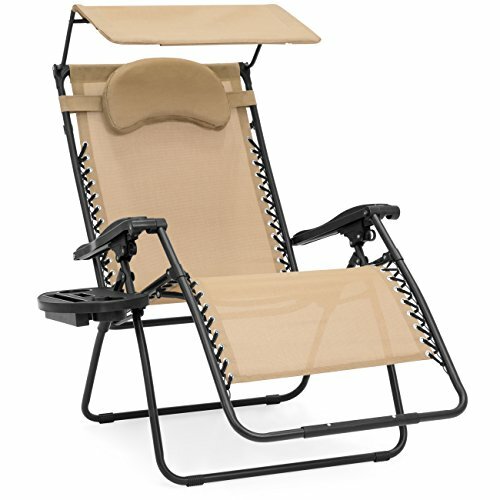 The Zero Gravity chairs by Best Choice Products are a great investment for your outdoor area, camping equipment, or your go-to pool side lounger. Overall, individuals who have purchased these chairs are very satisfied with their quality, comfort, and portability. So, order a chair, grab a great book and refreshment, and get your relaxation on!